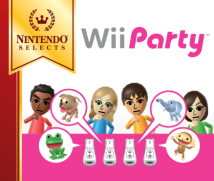 This time, we presented you with the idea of using Mii characters as player characters for a party game. When you first heard that, what did you think? When I joined Nd Cube and heard about this, I thought it sounded fun. I was certain we could make something enjoyable and really wanted to do it. You thought something good had come your way. Nishiya-san, what did you think? One of the attractions of Mario Party is that you can play with your favourite character, but I thought that using Mii characters would strengthen the impression that you yourself are playing together with your friends. Because Mii characters represent you, your family, and your friends. Yes. Actually, for Mario Party 87 we did use Mii characters a bit for a table tennis game. That was really fun, so this time I was overjoyed - like, “Just what I’d been waiting for!” 7Mario Party 8: A party game released for the Wii console in August 2007 in Europe. How about you guys who proposed it? I had actually thought about what would be fun about using Mii characters before I even proposed it, and all I could ever think of was making them look funny. I never worried about how to handle Mario in Mario Party, but I did wonder about the treatment of Mii characters. That’s right. Once before, I had helped out with a game using Mii characters. At that time, we had fun making them look different, like dressing them up in different costumes. But this time, when I double-checked this in-house, I learned there are rules governing the treatment of Mii characters. Mii characters are a representation of the player. It’s important to pay strict attention not to do anything that would make the players feel uncomfortable, so there are rules about the usage of Mii characters. It isn’t allowed to do anything unpleasant to the Mii characters in order to get a laugh from the players. 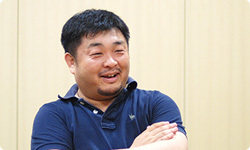 Ikeda-san, at first you thought it was an “awesome” idea, but how about after development started? When we actually started working, I realised - just like Sato-san and Hirose-san - how there were so many rules. At first, you thought it would be easy, but actually it was hard. Yes. When we made Mario Party, we had to preserve the Mario style, that particular atmosphere, but as long as we did, we could do anything. And the Mario world is a surprisingly flexible one. Of course, some things are off limits, but there are surprisingly few. having you float for a second - things that are impossible in the real world. That’s probably the result of Hirose-san working things out without our knowing about it. Hirose-san, as the person mediating between Nintendo and Nd Cube, what kind of negotiations were you involved in? Well, after talking with the person in charge, if he told me it wasn’t any good, I would ask in detail what could be done to fix it, and then ask Nd Cube to make the corrections. I suppose being able to do so much with Mii characters is in part thanks to Hirose-san’s skill as a mediator. There are rules governing Mii characters, but things like where you can put them and where they can go aren’t really the problem. Exactly. This is a party game. Variety is necessary, so I think we were able to get permission for many kinds of things. 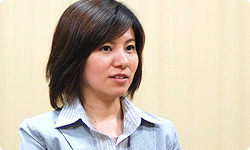 By the way, Ikeda-san, weren’t we going to bring out Wii Party a little sooner? Uh…yes. It took longer than I expected. I had no idea it would take so long. But in the past we’ve released an instalment for the Mario Party series almost every year. With so many people who had so much experience working on party games, what do you think was the cause of such a significant delay? Oh, I didn’t mean to criticise… (laughs) I think it turned out to be a great game. Yeah. (laughs) It wasn’t just the Mii characters, though. We fell behind because of another big challenge.